Otto was born on June 10, 1832, in Holzhauzen, Germany, the son of a farmer. The details of his early life are unknown. At age 16 he left school and worked at a merchants office, never obtaining any formal higher education. In 1861 Otto became interested in the first coal­ gas engine, developed the previous year by the Belgian steam­ engine manufacturer Jean Lenoir. The engine, a horizontal, double ­acting single ­cylinder machine, was inefficient and tended to overheat, but nevertheless achieved a modest commercial success. In 1864 Otto formed a company with industrialist Eugen Langen and began marketing gas­ powered engines that represented modifications of Lenoir’s design. In a competition with 14 other gas ­powered engines at the 1867 Paris Exhibition, Otto’s engine won first prize. It won because of its efficiency, despite being large, heavy, and noisy. Otto opened a new factory near Cologne, Germany, in 1869 to accommodate the flood of orders. 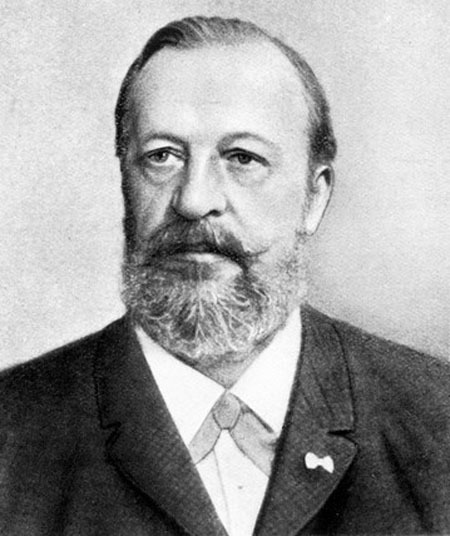 Joined by talented engineers Gottlieb Daimler and Wilhelm Maybach in 1872, the business flourished. In 1876 Otto introduced a radically different engine. This quiet, efficient machine had a horizontal cylinder, conventional piston, connecting rod, and flywheel; it was single­acting and utilized a four­ stroke cycle. The engine’s cycle consisted of four steps: as the piston moved outward the fuel (coal gas) and air were drawn into the cylinder; as the piston moved inward the fuel­ air mixture was compressed and ignited by a spark; the ignition drove the piston outward for the third stroke; and as the piston moved inward again, the waste gases were forced out an exhaust valve. Then the cycle repeated. Otto’s four­ stroke engine sold extremely well. However, in 1886 his competitors unearthed an obscure pamphlet written in 1862 by Frenchman Alphonse Beau de Rochas describing the four ­stroke fide. This finding invalidated Otto’s patent, he lost exclusive rights to sell four­ stroke engines, and sales dropped because of competition. Otto died on January 26, 1891, in Cologne. Otto’s engine created gas­ based industrial power and made gas­ powered vehicles possible. It is the basis of four ­stroke internal­ combustion engines of modern technology. Otto’s earliest engines were used immediately in numerous industries, powering pumps, sewing machines, printing presses, lathes, looms, and saws. These engines were limited to towns because they required a gas supply and to stationary settings because they were loud and heavy. In 1882 Otto’s engineers, Daimler and Maybach, left his company and developed the first engine that ran on gasoline, or petrol. They added a carburetor to vaporize the gasoline, which ignited upon insertion of a red­ hot metal bar. Their engines were lighter and more efficient than even Otto’s improved engines of 1876, and they were the first to be used in automobiles. Daimler and Maybach built a motorcycle in 1885 and an automobile in 1886; both ran on four­ stroke internal combustion engines powered by gasoline. Karl Benz, a German automobile pioneer, replaced two ­stroke engines with engines built by Daimler and Maybach, and then introduced electric ignition, which became the standard. In the 1890s RUDOLF DIESEL developed an engine that used cheaper fuel and ignited with the heat produced by compression rather than with electrical assistance. The resultant high pressures required the use of heavy metal to construct the engines, which were (and are) used predominantly in large vehicles such as trucks, buses, and ships. As the early twentieth century progressed, continually improved internal combustion engines were built to power automobiles, tractors, trucks, ships, dirigibles, and airplanes, as well as various large industrial machines and relatively small appliances, such as lawnmowers.